Explore the oldest and longest footpath in Canada which spans over 840 kilometres. There are numerous linear and loop hikes as well as side trails to be explored in the Peninsula section which is host to the most stunning sections of the trail. Photographers and naturalists will love the assortment of flora and fauna that can be found while out on the trails. 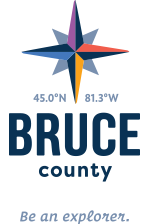 For more information on the Bruce Trail you can visit the Bruce Trail Conservancy website.